I am in love with banana bread. How can you not be? It is moist, flavorful and perfect for breakfast or as a snack. Banana bread is also so quick to throw together that it only takes a matter of minutes before you have a fresh loaf baking away in the oven. 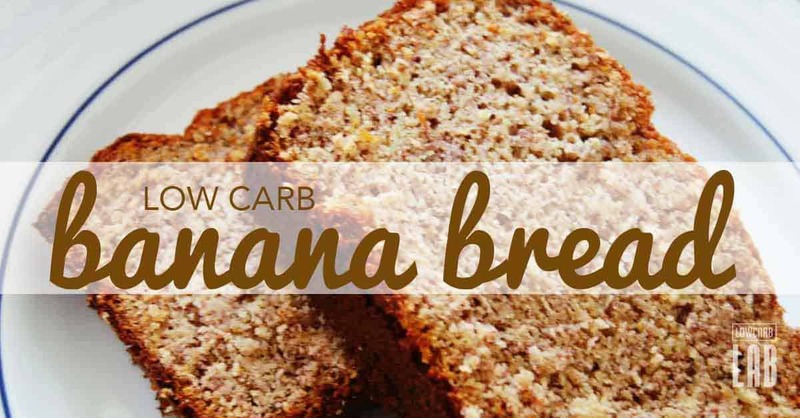 However, most banana breads are full of carbs which can be a problem when you are on a low carb diet. White flour and lots of added sugars make banana bread basically inaccessible to low carb eaters. Until now…. 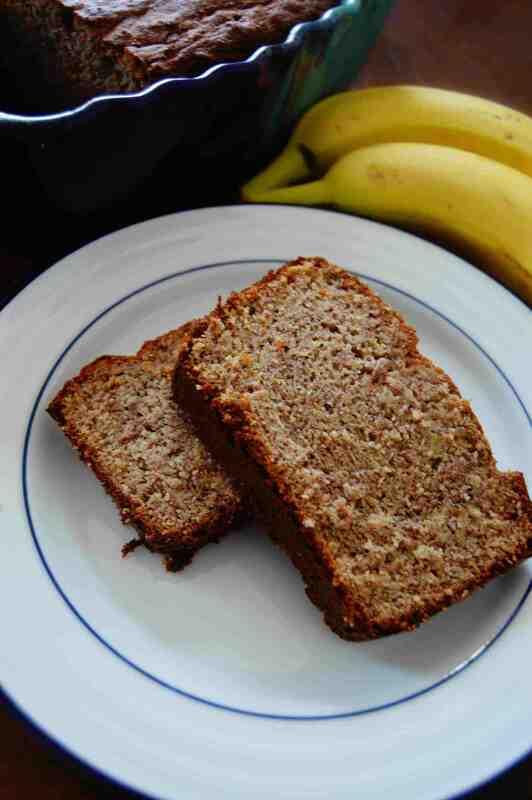 This great low carb banana bread recipe is bursting with rich banana flavor. How is that possible?!? Well, first, there is no white flour in this recipe but rather tasty almond flour. Skip the sugar completely if you have nice, ripe bananas or throw in a tablespoon of stevia when your bananas are still a little green. I also opted to use almond butter to add a healthy, nutty flavor. 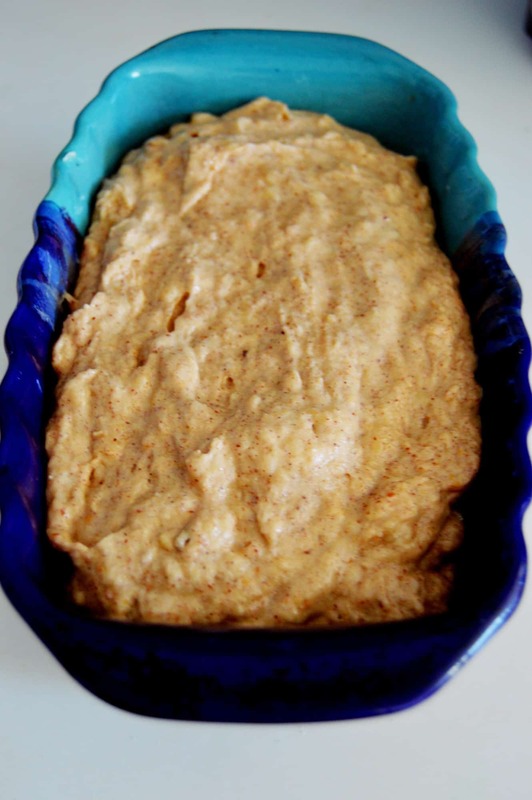 Look at that, low carb, amazingly delicious banana bread! It is possible after all. 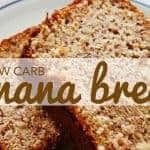 One more little trick that you should always do when making this low carb banana bread is to double the recipe and make two loaves. Banana bread freezes so well when wrapped tightly. So double the batch, bake two loaves and save one for later. Next time you are searching for a healthy, low carb snack, pull out your frozen bread, let it thaw at room temp and you will be eating in no time! 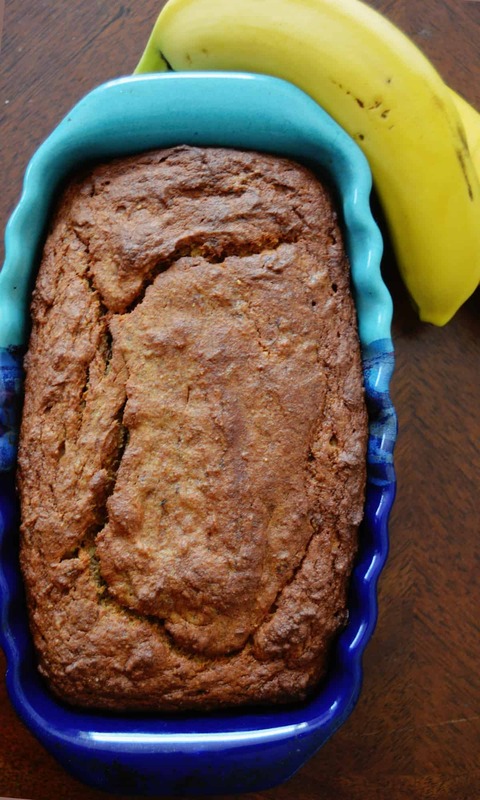 Isn’t banana bread just the best? 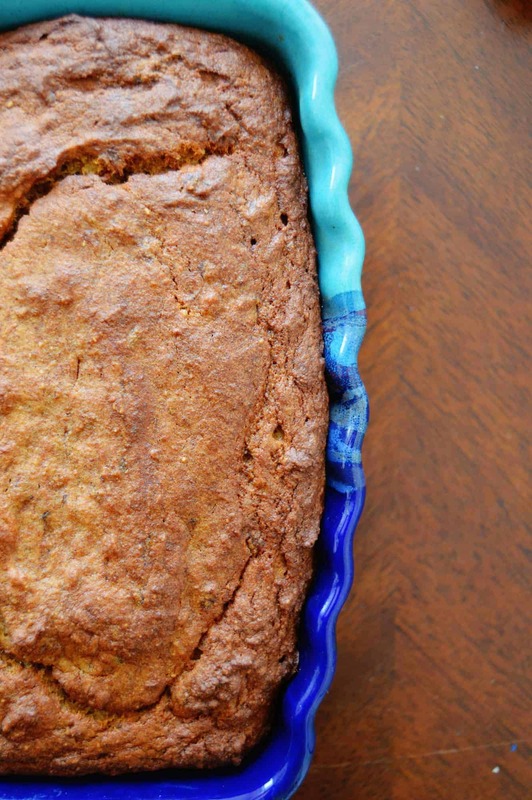 Making this mouth-watering banana bread is so easy that you could probably do it in your sleep. In fact, when I make this recipe, I always have my three-year-old help me (if she can do it, anyone can!). Together we measure and mix, measure and mix, bake and eat- obviously, the eating is her favorite part. While I like to use a stand mixer with a paddle attachment, you can also simply use a bowl and a rubber spatula. The most labor-intensive part is the first step when you mash the banana. 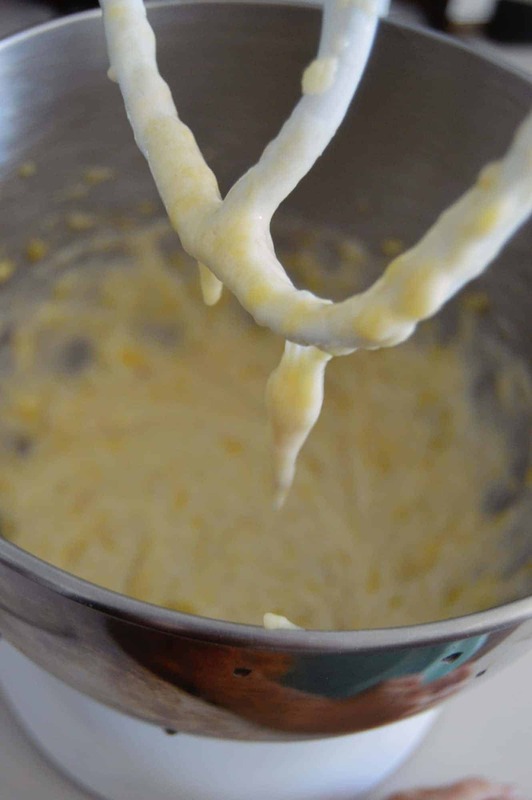 Ripe bananas will mash very easily with little effort. An under-ripe banana will take a little more muscle to mash which is when I like to pull out my mixer. After the banana is nicely pulverized, it’s just a matter of mixing the rest of the wet ingredients in the bowl followed by all the dries. 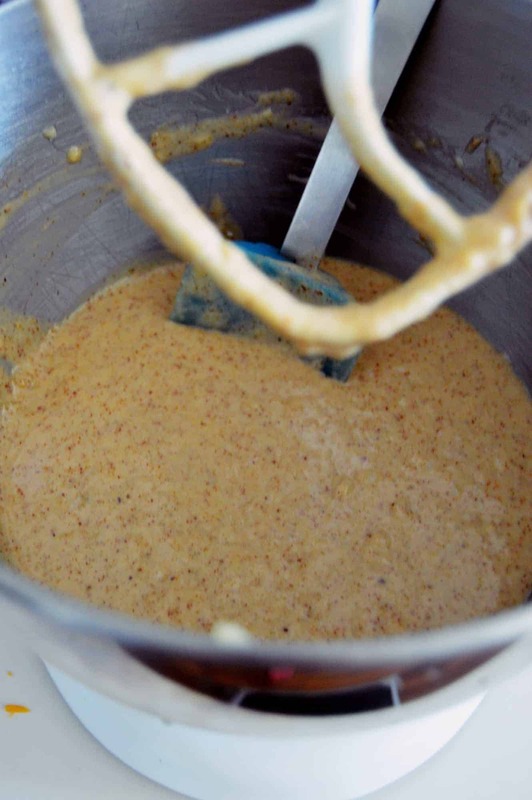 The batter is poured into a loaf pan and baked. You should definitely eat a slice while the bread is warm as it is pure perfection when right out of the oven. Everyone will agree! Also, check out our low carb brownies recipes. If you loved this banana bread recipe, see our top 50 Paleo bread recipes that will keep you baking all year round. Related: Find the best stand mixer reviews for KitchenAid, Cuisinart, Hamilton Beach and more. Add all the dry ingredients to the bowl and mix the wets and dries together, stirring well. Cool for 10 minutes then flip out of pan and continue to cool. Enjoy a slice warm if you'd like! For more tasty Paleo banana bread recipes you need to see our top 50 list, you’ll definitely love them. Sorry “ea” stands for “each”. I removed this as it’s confusing. Thank you for your feedback. It’s 3 bananas for the whole recipe. You should only be eating a few slices which might contain about 5-8g of carbs per slice.